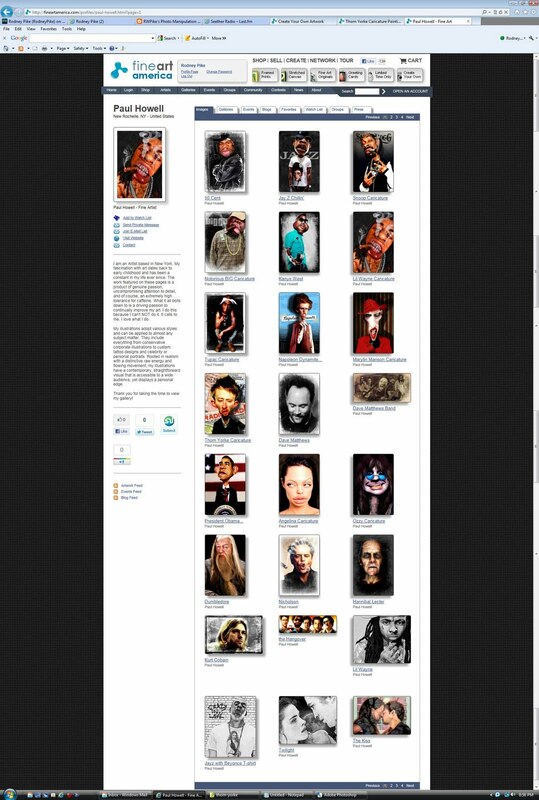 Tonight I'm making a post to expose Paul Howell of New Rochelle, New York for selling artwork he stole from me and others I recognized. They are being sold on FineArtAmerica.com. 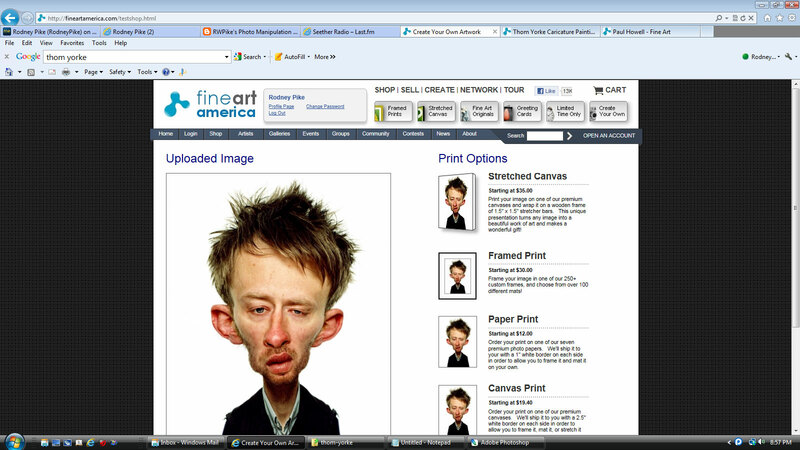 I first noticed the Thom Yorke image above which is clearly stolen. 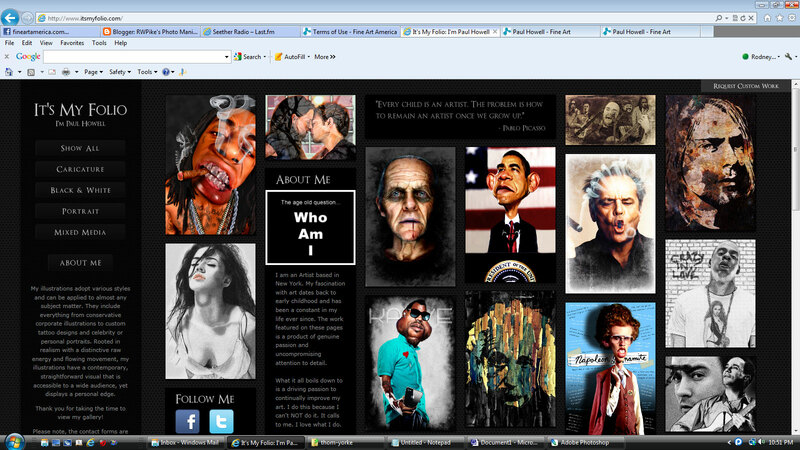 That's a screen capture of my image as I uploaded it to the site tonight. I decided to go back and have another look and I counted 8 of my manipulated caricatures for sale by the so-called artist, Paul Howell. The links with Paul Howell's name are links to his website. Be sure and stop by and email him. I did. 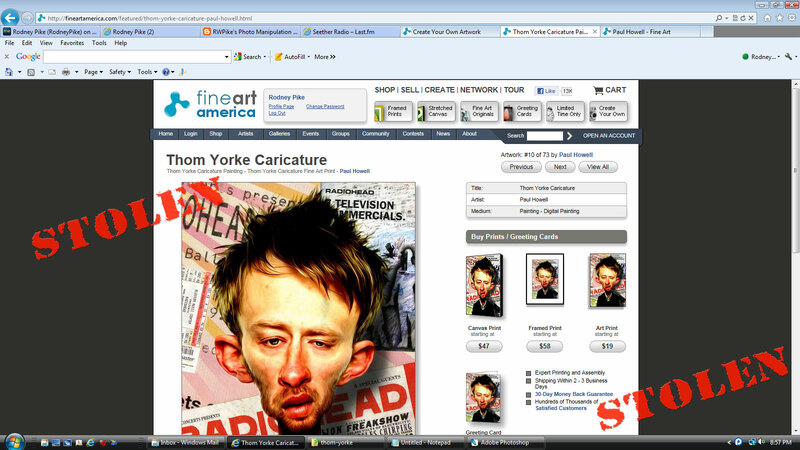 The link for FineArtAmerica.com is a link to their site but specifically his page, which I spliced together from multiple screen captures. Be sure and share this with all of your friends. Thanks! 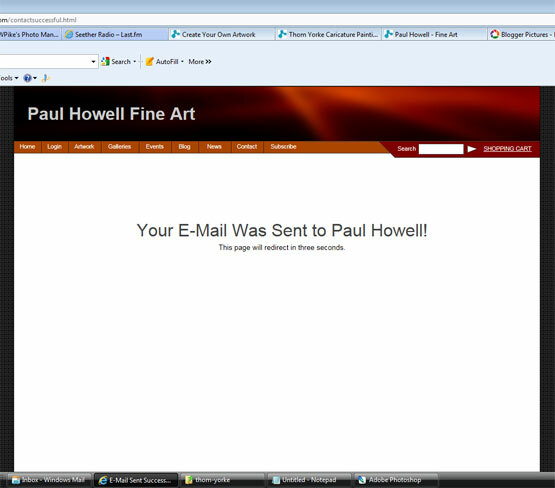 This is Paul Howell's personal web site. I counted nine of my images on his front page. I hope you enjoyed. Have a great day and be inspired!